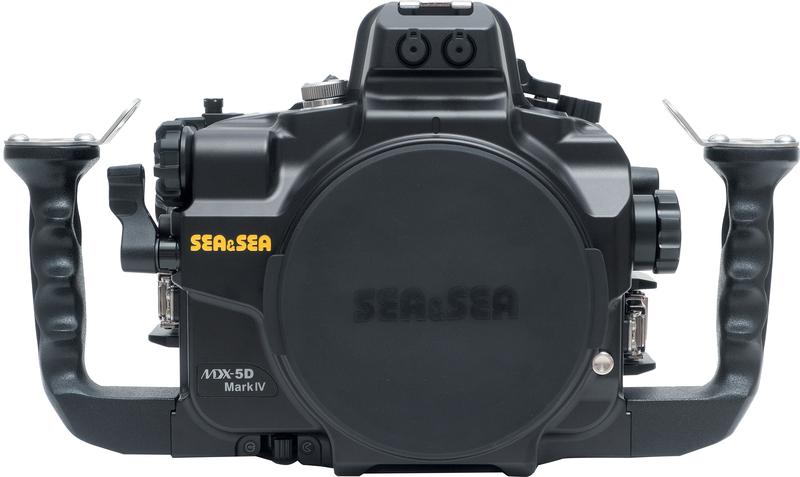 Sea & Sea brings new ergonomic features with greater reliability with the MDX-5DMKIV underwater housing for the acclaimed Canon 5DMKIV camera. Made from rugged aircraft aluminum the anodized housing has many improved features. Important controls can be operated whilst holding the grips. Frequently-used buttons such as ISO, AF Point Selection and Multi-function Selection buttons are operated by external levers, allowing quick and accurate operation. AF Start button is locked by pressing and turning the control. AF Start Lever will remain pressed by pushing the lever forward. The main command dial, the quick control dial and others have a damper (spring) to provide secure operation. 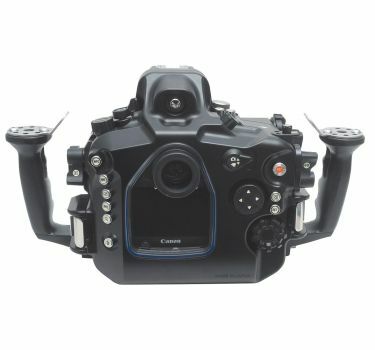 (Controls on the camera will not slip because of the damper). The tension on the Shutter Release lever can be adjusted in 3 steps, by changing the location of the spring inside the housing. 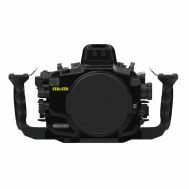 The distance to half-depress the shutter release can be adjusted in 2 steps, by changing the location of the plastic piece behind the shutter lever, inside the housing. 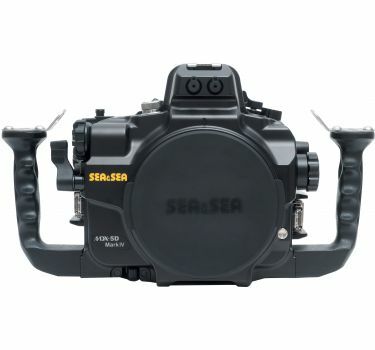 Equipped with two fiber-optic cable sockets for optional Optical YS Converter/C. The Port Lock prevents the port from turning or loosening and the Port Lock lever is specifically located to avoid being unlocked accidentally. 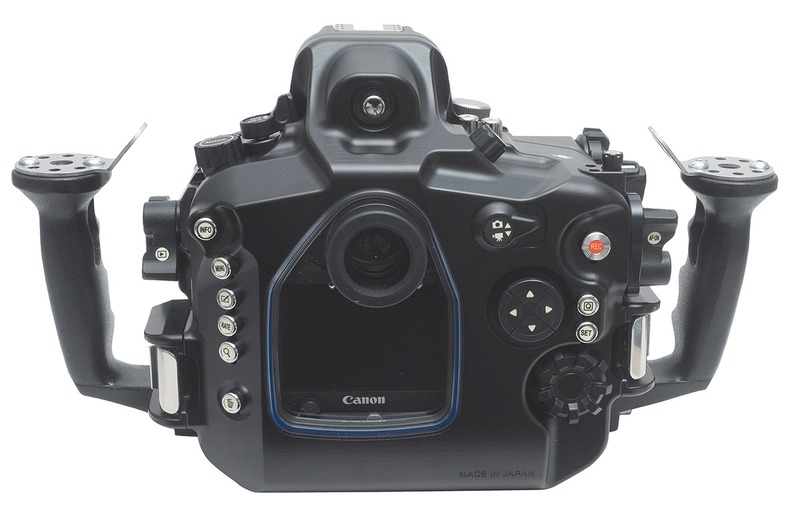 The housing is equipped with a lens-lock release button which makes it possible to change lenses easily, without opening the housing. 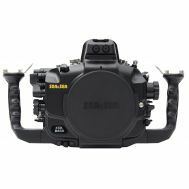 The camera’s diopter adjustment dial can be operated from outside the housing. This feature is useful when two or more people with different eyesight use the housing. 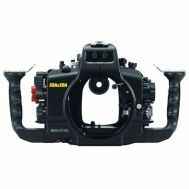 Pulling out the Focus/Zoom Dial gives sufficient room inside the housing to easily accommodate larger diameter lenses. All controls have luminescence stickers which glow in dark environment. Equipped with the Optical Viewfinder 0.5x as standard. Other optional viewfinders such as the VF180 1.2x, VF45 1.2x and Optical Viewfinder 0.8x can be used. Sync Cord 2-pin Connector enables use of conventional hardwired Sync cable (Manual mode only). Accessory port enables use of Leak Sentinel (vacuum sensor). Equipped with two sacrificial zinc diodes (one on the front case and the other on the rear) to prevent electrolysis damage. Tripod screw mount is located on the center underside of the housing.